So often we confuse our path of service with serving the needs of our ego mind. It is not always easy to know the difference because when we follow our ego mind we may become very stuck in old programs – all that we already know or that others know – such as the programs of our family, friends and even our spiritual connections. These help to keep us in our comfort zone. Yet, what we do not always understand is that we are here to be in service to the light of God within each one of us and to manifest it on the Earth in some way in accordance to Divine Will. We are here to be guided by our Divine Self, that part of God that sits in the heart of each one of us. We are all emissaries of God’s light on the Earth and we are here to make that light manifest in the physical plane. How do we do that? Open to receive the guidance of our Divine Will because it will always show us the path. 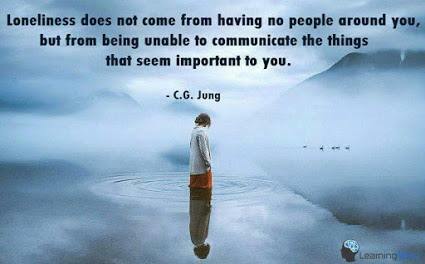 Yet are we truly listening and do we know the difference between our divine will and our ego will? To offer service to our light we are asked to let go all the agenda’s we hold about God’s light – where it is, what it is, how it should look and what it does or does not do. More importantly, we are asked to let go all preconceived ideas about how it manifests in the physical plane. When we hold old programs and beliefs of what this is, then we can only serve through the ego mind. Our ego mind does not know the heart of God’s light within us, it does not know the Divine Plan of God’s heart, it does not know the mystery of God’s heart and it is limited in what it ‘thinks’ it knows. So when we serve our ego mind to manifest our path of service to the heart of God’s light we always serve the light with limitation and very often in illusion or distortion. Yet how do we serve the light to manifest through us in each moment on the Earth? We all have keys and codes within us to assist this to occur. It is for each one of us to make a choice to go deeply within our hearts and connect with our divine light to find these keys so we may truly serve the light of God’s heart to be manifested on the Earth in alignment to the will of our Divine Self. How we manifest God’s light will be different for each one of us because we are all unique codes of God’s heart. Yes, we are all one but each one of us makes up the whole and each one of us holds specific gifts and codes from the light of God’s heart to manifest on the Earth. We do not need to know the how and why, all we are being asked to do is to open our hearts and allow the light of God’s heart to flow in our lives every day. When we do this the how and the why always takes care of itself through our alignment to Divine Will. When we allow Divine Will to flow in our lives it will guide us on the path of service to our light that we are here to follow. Divine Will does not need to be told what to do or how it has to be done by your ego. Choose to let go your need to control the mystery, let go your need to always know and interpret the heart of God’s light through your mind. Simply open your heart to serve your Divine Light and all will flow in perfect divine order. Sometimes I just sit alone and think, often thinking too much about my life, the people around me, my family, my friends, my work colleagues, spending too much time overthinking and allowing my ego mind to have it’s way with me! Our days are filled with wasted time, hour after hour our mind ticks over, relentlessly sending us it’s opinions based upon our thoughts on the things we see, hear and fell, judging this and judging that, telling us to hate this person, stay away from that person, beware and fear this or that and holding us back from living our lives to the full. Somedays our hearts are totally controlled by our mind, we feel lost and alone, its like something is missing from our heart, like a lost loved one, something is missing and causing us pain, we become tearful, agitated, anxious and sometimes so down that we just don’t want to get up or go out, the feeling is so strong that it controls our very being and stops us from moving forward with our lives. Loneliness and the lack of love for ourselves feeds our ego mind, it fuels its fire and allows damaging thoughts to be generated at a rapid speed, negativity reigns supreme when the ego mind is at play, controlling our very being. When your feeling down and lonely, its hard to pick yourself up when the ego mind is holding you down , twisting your mind with its negativity, pumping your body full of non-productive, suppressing ideas as to how you should live your life, it’s in total control…but how do we break free from the clutches of our ego mind? Well, in my case, meditation is the key, it brings me peace and allows me to break free of the chains that my ego mind has wrapped around my soul, meditation takes me to a place of peace, to a solitude of silence where I can connect with my soul, with my Divine Self and where I can take back my life from the clutches of this egotistic mind that is at play with me.